A breeze ruffles the stark branches while the winter sun slips down to the horizon. 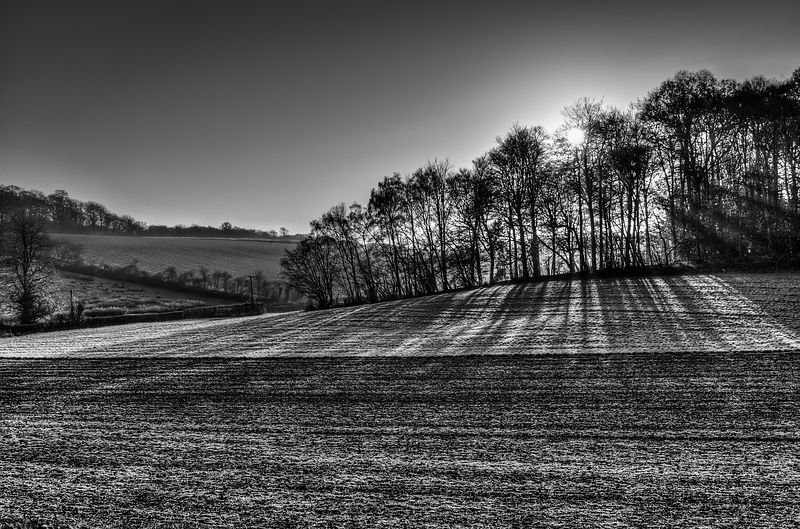 A dusting of frost on the ploughed fields. The picture was made at Penn in the Chilterns in Buckinghamshire.